Alive Scan is experienced at Canada passport photos as well as other foreign Visa and passport pictures. 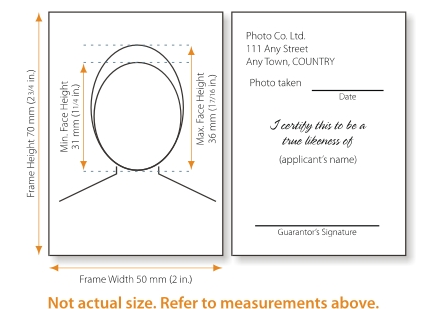 The photographs are an important part of the passport application process and should be taken seriously. Your application will be rejected if your Canada passport photos do not meet the strict Canadian image specifications. Alive Scan guarantees that your passport pictures will meet all the requirements. Plus, your passport photos will be completed and printed up in only 5 minutes. Contact Tom at 858-349-0204 today! You must submit two (2) identical Canada passport photos with each application. – taken by a commercial photographer. – clear, sharp and in focus. Photos may be in colour or in black and white. – taken with a neutral facial expression (eyes open, mouth closed, no smiling). – taken straight on, with face and shoulders centered and squared to the camera. – taken with plain white or off-white background and no shadows.